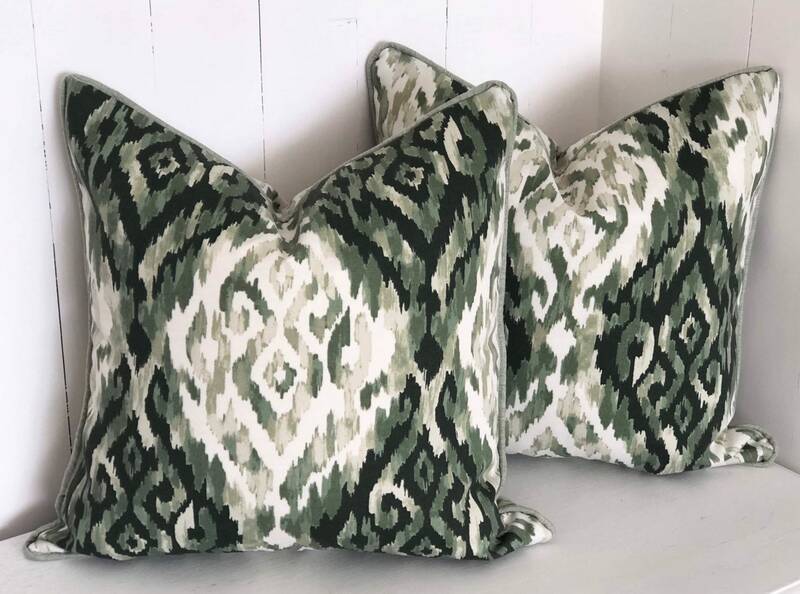 It’s time to brighten up your outdoor deck or patio with these intricate ikat print outdoor cushions! 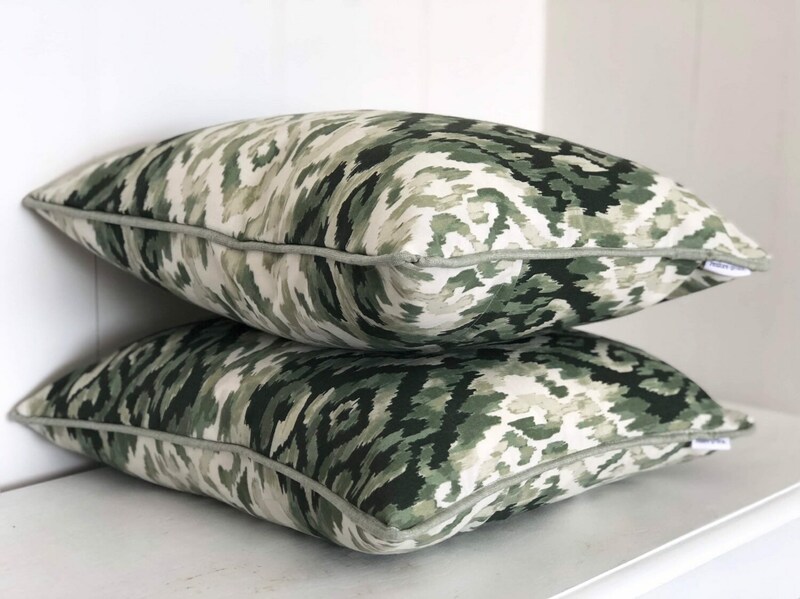 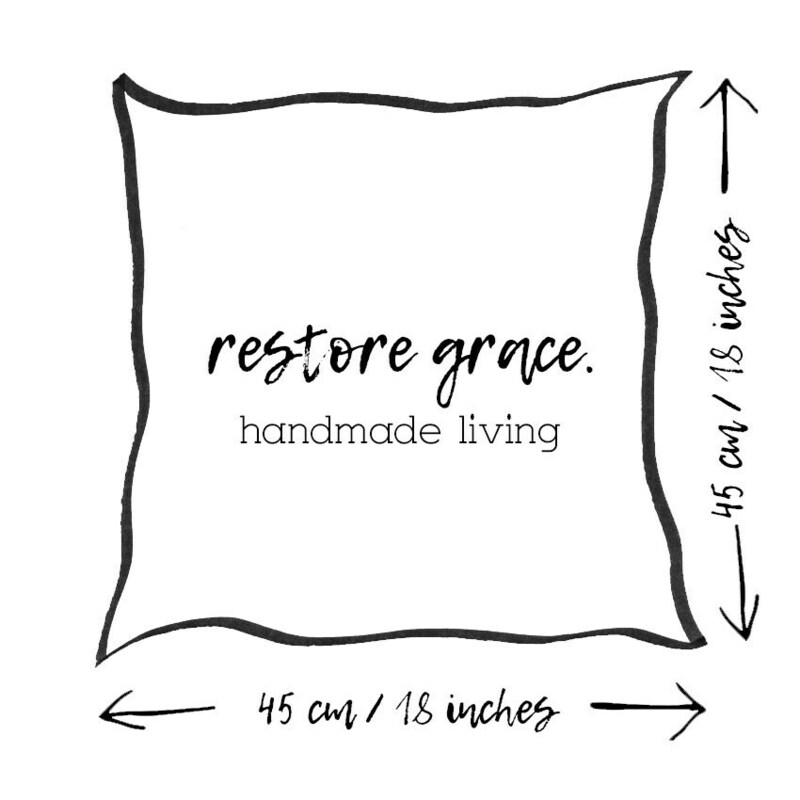 These cushions are lusciously framed with sage green piping. 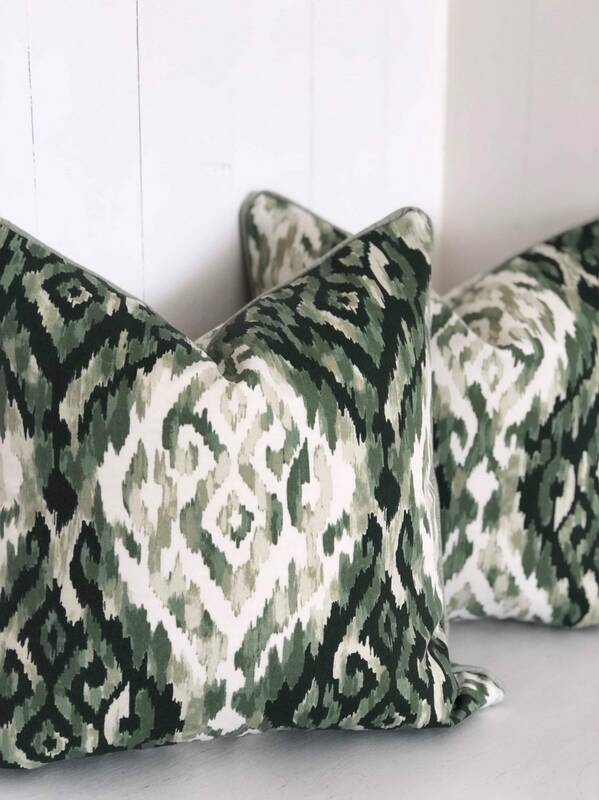 Soft, dusty tones of greens in such an intricate pattern it definitely will demand attention! 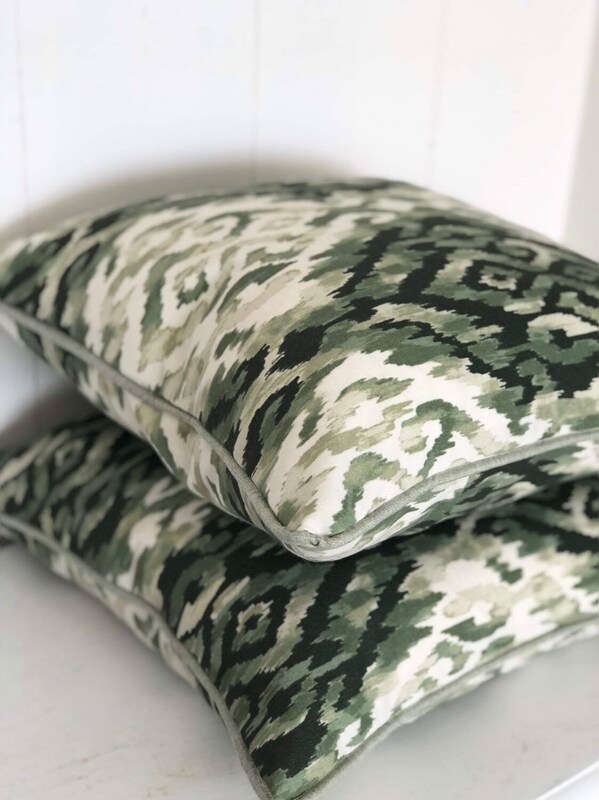 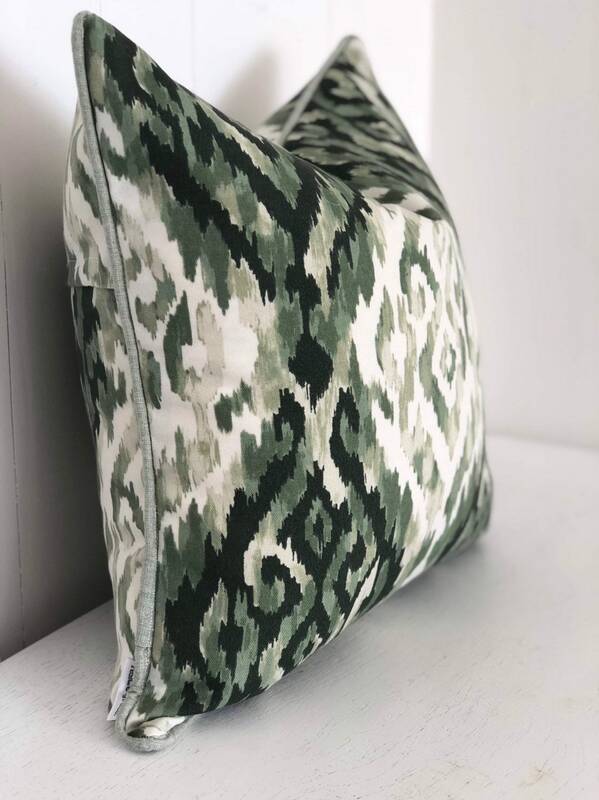 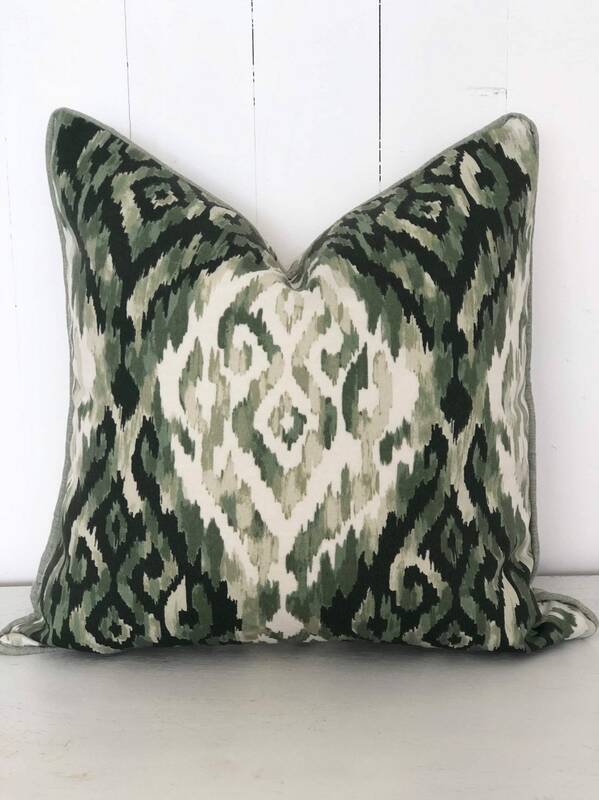 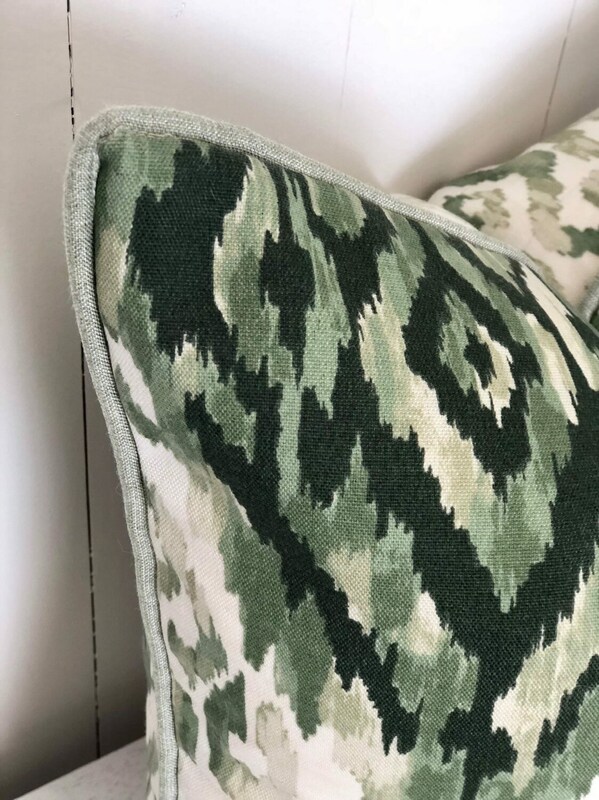 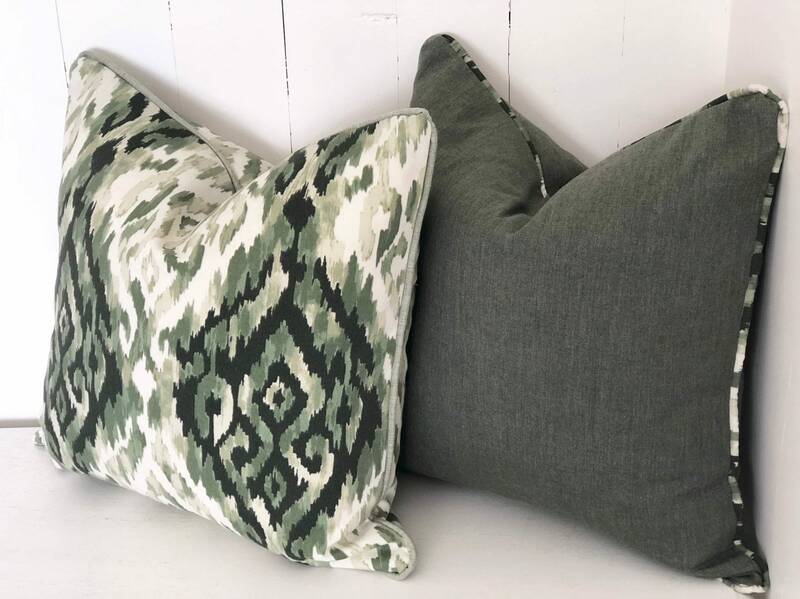 Pair these with block dark or light green outdoor cushions to make these ikat prints pop or pair with different tropical palms to enhance that jungle, tropical vibe!